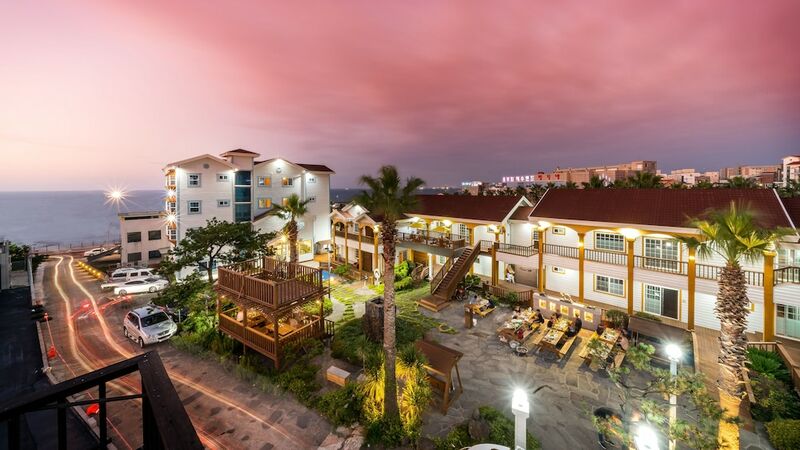 Located in Jeju (Jeju City), Grim Resort is convenient to Dragon Head Rock and Yongin Bridge. This hotel is within close proximity of Yongyeon Pond and Jejuhyanggyo Confucian School. Make yourself at home in one of the 30 air-conditioned rooms featuring refrigerators. Complimentary wireless Internet access keeps you connected, and cable programming is available for your entertainment. Private bathrooms with showers feature complimentary toiletries and hair dryers. Conveniences include electric kettles and complimentary bottled water, and housekeeping is provided daily. A complimentary English breakfast is served daily from 8 AM to 10 AM.